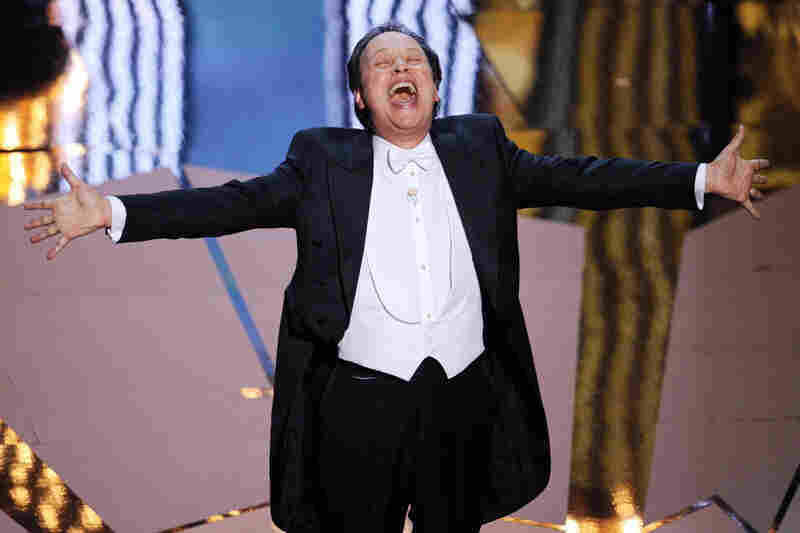 'Artist' Comes Out On Top As Oscars Regroup, Reminisce The Artist and Hugo — two movies about movies — were the two big winners at Sunday night's Oscars. The show itself? Well, with Billy Crystal hosting and a raft of tame reminders about the magic of movies, "cautious" might be the best word. It's perhaps fitting that during a year when Hollywood made even more films than usual about the love of film itself, the two big winners at the 84th Academy Awards on Sunday night were the movies most overtly about cinephilia: The Artist, a silent black-and-white film about silent black-and-white films, and Hugo, the story of a boy who meets a reclusive filmmaker and helps him rediscover his love of his art. 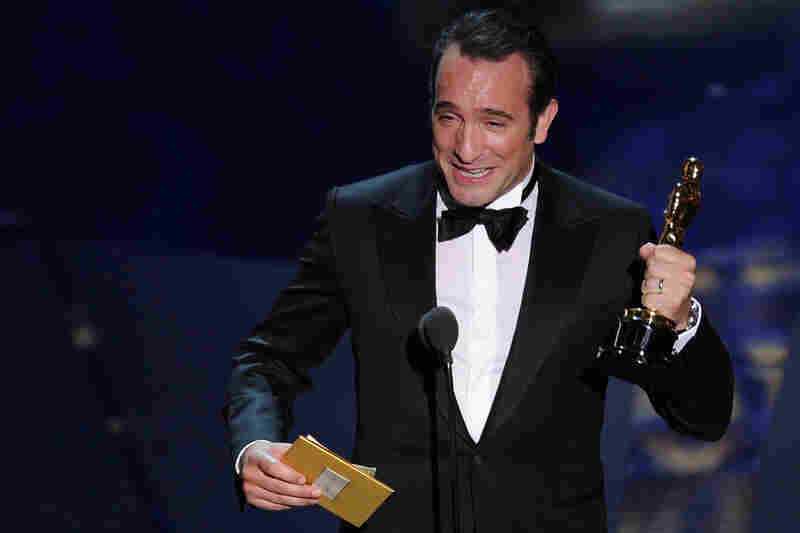 The Artist was the bigger winner, taking home five awards including Best Picture, Best Director (Michel Hazanavicius), and Best Actor (Jean Dujardin), in addition to awards for Costume Design and Original Score. Hugo's wins were concentrated in the areas of the film's lush look and sound: Art Direction, Cinematography, Sound Editing and Sound Mixing, and Visual Effects. It was not a night where Hollywood attempted to reach a young audience, as it did last year when it paired James Franco and Anne Hathaway as hosts — and wound up with dire reviews for the telecast. This year, after initially connecting with action-film producer Brett Ratner and host Eddie Murphy, the Academy hit another snag when Ratner made some ill-advised public comments that led to his resignation. Murphy soon followed. Stepping in as host was Billy Crystal — the safest choice the Academy could possibly have made, short of successfully reanimating Bob Hope. The montages weren't zippy or innovative; they were largely clip packages that just said to viewers, over and over, "Hey, here are some scenes from movies you like! Remember Star Wars? How about There's Something About Mary? You liked those! And also Titanic!" There were also some sets of talking-head interviews with actors about their early memories of going to the movies, but while those were charming in places, they were so choppy that they tended to end just as they got interesting. But they are classic Oscar montages of the absolute most traditional sort. 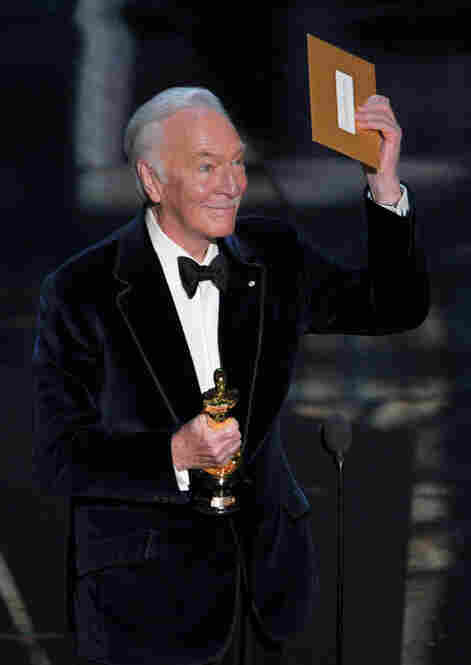 The Academy was looking for a very old-fashioned Oscar telecast for old-fashioned Oscar audiences, and they got it. Similarly, Crystal's new hosting stayed as close to his old hosting as possible. He had the initial montage of movies into which he was inserted, he had the "It's a wonderful night for Oscar" song, and he had the "What everyone is thinking" bit. A lot of his jokes fell flat, and a lot of them seemed forced or in poor taste in a sort of watery and inoffensive way. But the crowd seemed happy to be on his side, relaxing in his company after the Franco-Hathaway awkwardness and the messing about with Ratner. Ultimately, an awards crowd wants to feel like it's in good hands — and whether Crystal's humor is what people on Twitter want to hear, it makes that audience very, very comfortable. 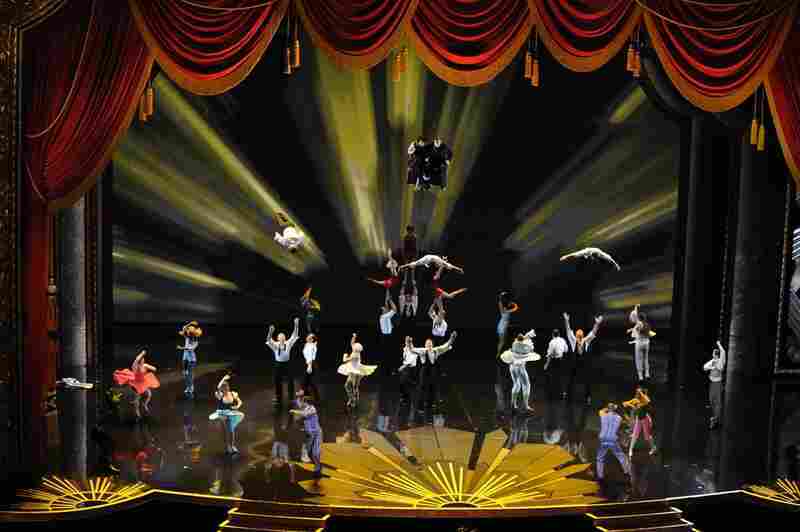 It was a telecast that sidestepped many of the problems that stalk not just the Oscars, but awards shows in general. 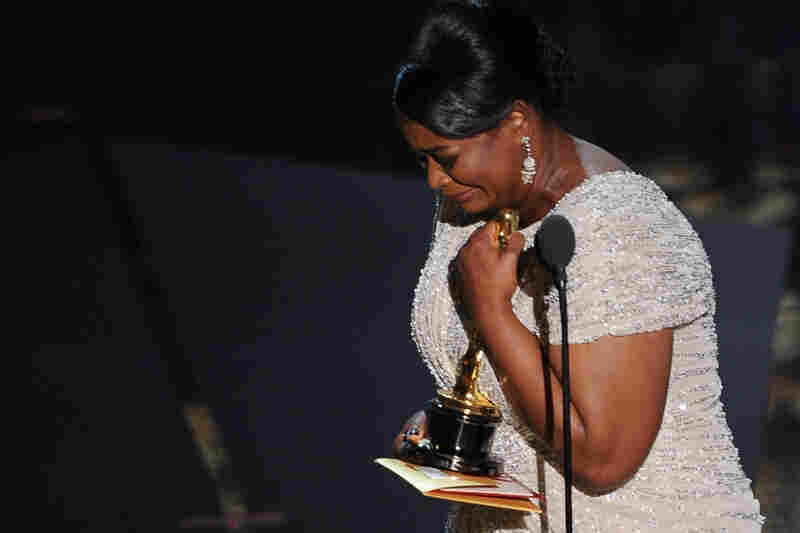 The "In Memoriam" segment, accompanied by Esperanza Spalding singing "What A Wonderful World," was designed and executed to avoid broadcasting the rising and falling audience applause for the deceased — a demonstration of how well known and well liked the departed were, and perhaps the Oscars' tackiest tradition. There were no trainwrecks — the closest it came to something ripe for mockery was a Cirque Du Soleil number, which, while flashy and tacky, wasn't unskilled. The most obvious downside of all this emphasis on stability, of course, is that there weren't many surprises. 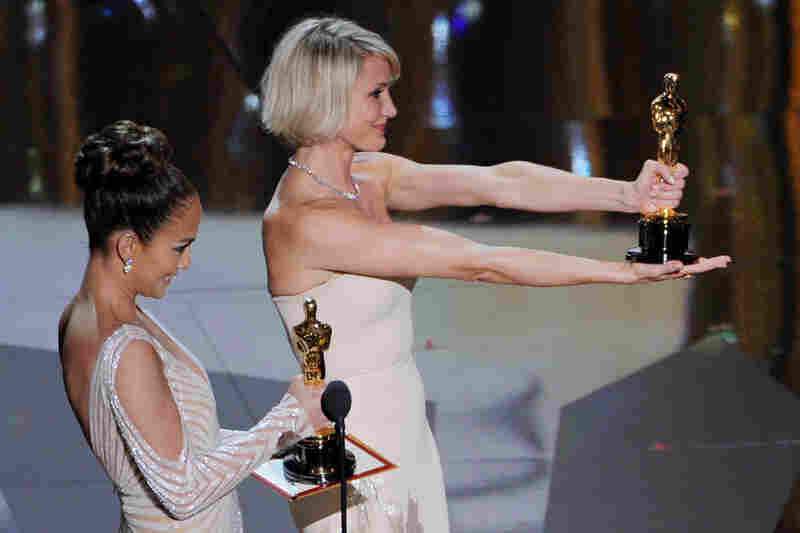 The closest thing to an unexpected result was Meryl Streep winning Best Actress for The Iron Lady, and any year when Meryl Streep winning an Oscar qualifies as an eyebrow-raiser, you know you're looking at some sedate proceedings. There were certainly some ill-advised bits of presenter patter, including an overlong and unfunny bit given to Robert Downey, Jr. and Gwyneth Paltrow, but that kind of cornball mini-sketch is just sort of ... how the Oscars are, and it seemed like the year that the Academy decided to just go with it. Angelina Jolie did provide some perplexing moments when she stood on the stage as a presenter and very conspicuously stuck her leg out of the slit in her dress, as if afraid that no one would notice it. A bit starring Christopher Guest's mockumentary ensemble was certainly executed better than a typical Oscar bit. But the premise — a focus-group sketch implying that audiences are stupid and that their poor expectations are to blame for Hollywood's quality-control problems — was an odd one to throw at the Oscars audience. There were other problems as well: Parts of the show seemed especially slow, and when they decelerated in the last 20 minutes to pad the Best Actor and Best Actress presentations — with Natalie Portman and Colin Firth giving long, gushing, scripted salutes to every nominee — it made those salutes seem boring. They might have done better had the rest of the show not seemed quite so much of a recitation by rote. And, most annoyingly, there were sound problems throughout, including a feedback-like buzzing and chirping on the microphones that persisted throughout the entire ceremony. How a production with this much money behind it couldn't get working microphones on the stage of a theater that's this fancy is hard to understand, but it's not good when Twitter and Facebook are lighting up, not with comments about what's happening, but with comments like, "Is everyone else hearing that buzzing noise?" This was a year of trying to get the telecast to stop alienating people, and the producers seemed willing to accomplish that at the expense of really offering anything new. 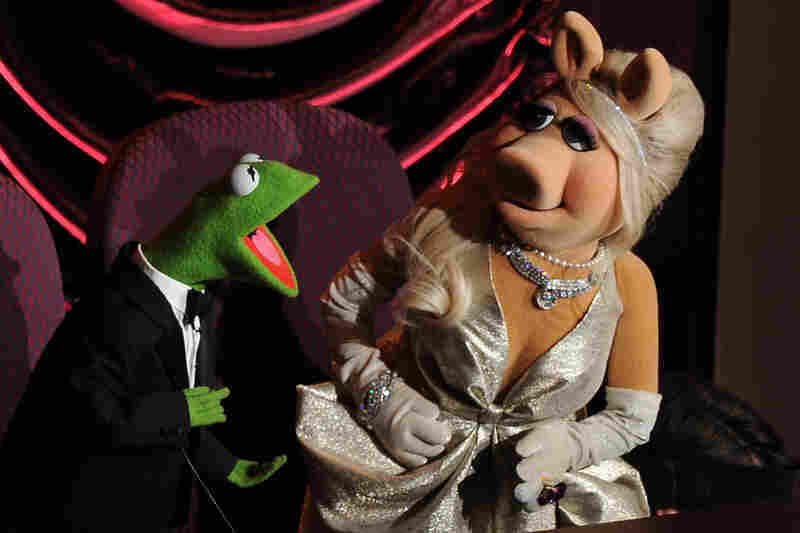 If your problem with the Oscars is that they're fusty or boring, this wasn't the year when they were worried about you. They seemed much more worried about the people who had been turned off by the efforts to get a new audience in the door — which, incidentally, hadn't worked. It was a rebuilding year, as they say, and while it certainly was boring and predictable, it managed to avoid falling on its face on the level of last year's Franco-in-drag appearance. It wasn't a very good telecast, but Crystal and everyone else seemed to be delivering what they'd been asked to deliver: something with more nostalgia than daring. Perhaps even something downright retro. Almost like a black-and-white movie.